Before arriving in Meteti, I began pondering the difference between volunteerism and voluntourism. 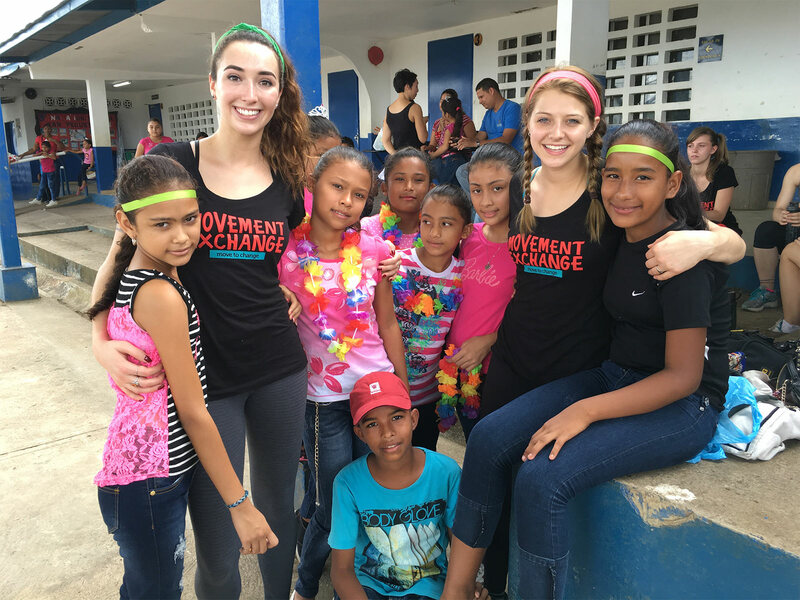 In many “volunteer” trips, the purpose of traveling to a foreign country can end up being more about observing cultural differences and pitying those receiving service. These trips end up falling under the category of voluntourism and often do not create lasting relationships and benefits for the community being “served.” Movement Exchange has proved itself to be quite different and I genuinely could see the positive impact our classes have had in Meteti. Because the organization is more about sharing than giving, a deep sense of mutual respect was fostered. One of my favorite parts of teaching the 8-11 year-olds was helping them explore their imaginations and bring their individual creativity to the classroom. We would start class sitting in butterfly position on the floor with our feet touching and knees gently bouncing to warm up our hips. I asked the class each day, “where are we flying now?”, and they would giggle and shout: “China!”, “Australia”, or “to my grandma’s house!” Then they’d stretch to the left and right saying there were strong winds, or forward saying there was a thunderstorm and they had to hide from the rain. Similarly, in our final choreography piece, there was a section of the dance in which they each made up a move and the rest of the class repeated it. The kids were confident in the show when they remembered their step and could show their parents a little solo. It was truly heartwarming to hear their parents express their gratitude after the showcase and the kids even surprised us with cake and a dance party afterwards! My favorite part: “Because the organization is more about sharing than giving, a deep sense of mutual respect was fostered.” Thanks for sharing Maddie!